This offer has ended but the training is still awesome! “I would absolutely recommend the kit and already have! Pick-a-Niche Kit and it´s fantastic! Completely burnt out from continually re-inventing the wheel and trying to be everything to everyone. I finally realized I needed to get clear on my ideal client, which meant I needed to pick a niche. -Shannon E. O'Connor, freelance writer, Write through the Looking Glass, Tampa Bay, in business since 2010. “I can recommend it without reservation, and I encourage you to download it today. 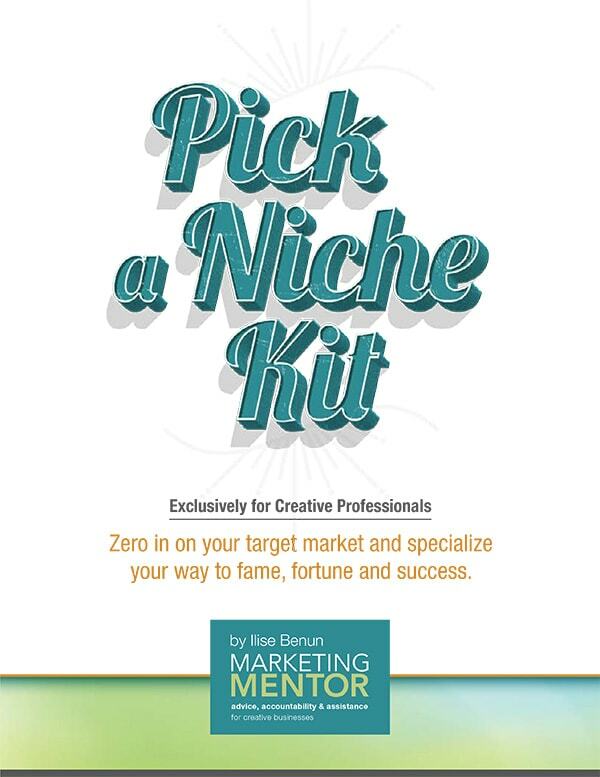 Designed exclusively for creative professionals, the Pick a Niche Kit is a step-by-step guide to unlocking the power of specialization. You’ll learn how focusing enables you to charge higher fees, get more satisfying work, establish a reputation that attracts ideal clients, and achieve greater success in less time. These ideas aren’t just theories or blue sky speculations. Ilise backs up everything with real-world examples. -Tom Tombusch, freelance copywriter, WordStreamCopy, Cincinnati, in business since 2002. “I am a London based fashion photographer. I have been shooting professionally for a few years but only went full time a year ago. 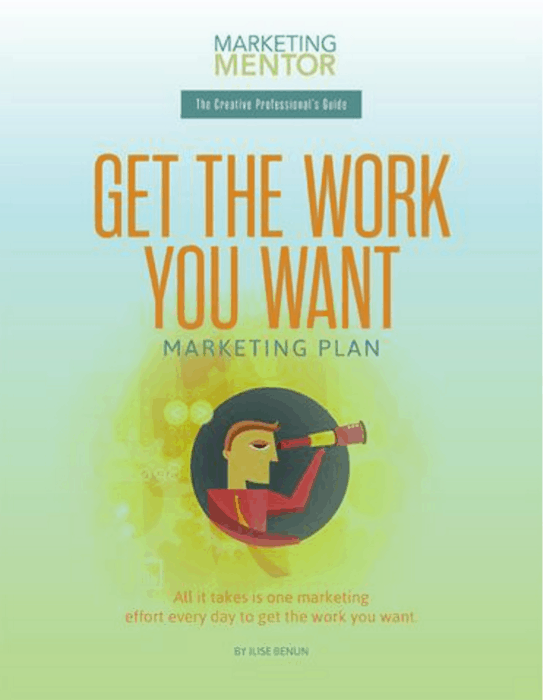 Back then I was very lost and I needed a guidance for marketing my services as I had no idea of how to do this and, fortunately, I ran into your website and bought "The Creative Professional's MARKETING PLAN+ eCALENDAR" which soon became my self promotion bible! I followed all your advice and even started my blog which helped me attract a lot of interest from people in the industry and I can say a year later that knowing about you and your marketing plan was one of the best things that has ever happened to me!